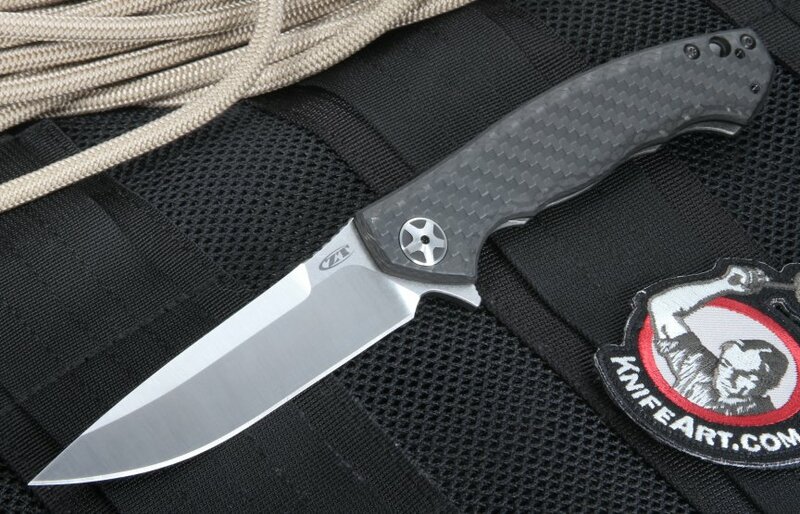 This Zero Tolerance 0452CF is one the nicest models they have ever made. It has so many features at a very reasonable price point - flipper, bearings, carbon fiber, S35VN steel, frame lock with lockbar interface and a terrific design. Give it a shot, you won't be disappointed. 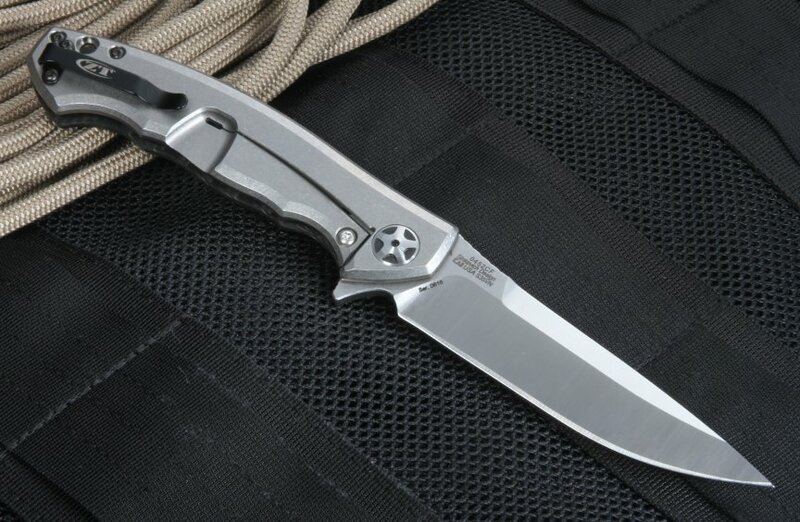 Based off the original, limited edition Zero Tolerance 0454 knife designed by the award-winning knife designer Dmitry Sinkevich, the new Zero Tolerance 0452CF Sinkevich Design Folding Knife with flipper maintains the original elegance and strength, with improved performance and strength- brought out in 2015. Proudly made in the U.S.A.
Like the original knife, the ZT 0452CF has a blade length of 4.1 inches and 0.16-inch thickness for all occasions. The Crucible stainless S35VN powdered steel, stonewashed and satin dual-finished blade; the S35VN enhances the toughness of the blade through continuous wear, while retaining a sharp edge without fear of chipping. The blade has a Rockwell hardness of 60-62. Paired with the KVT ball-bearing system (a 5-spoke pivot) with manual flipper, the blade rotates out smoothly and efficiently each and every time with either hand and stays locked into position for use. 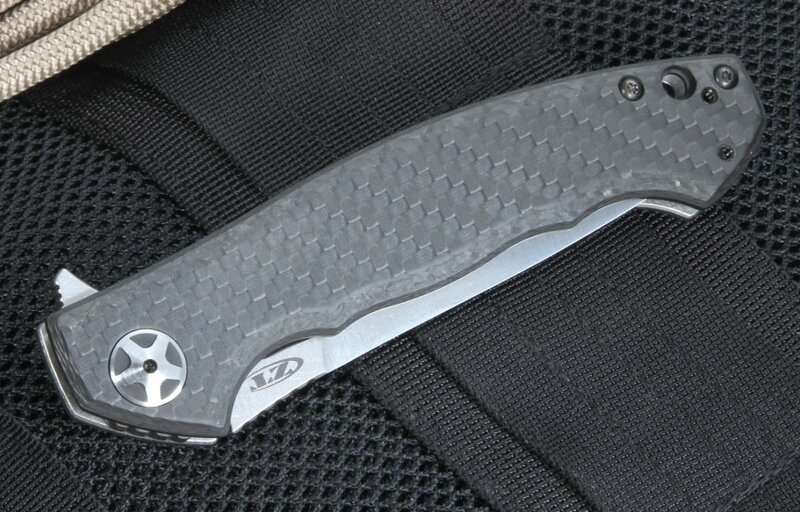 The ZT 0452CF is made with a black, carbon fiber front scale with a titanium back and stonewashed finish, all for an extremely strong yet lightweight handle. The titanium frame-lock system with a hardened steel lock bar insert keeps the frame locking knife securely locked for increased lock life. When the blade is folded, the knife has a length of 5.2 inches. In addition, the handle is made with a lanyard hole, and a reversible, deep carry tip-up clip for securing and carrying the knife on either side. 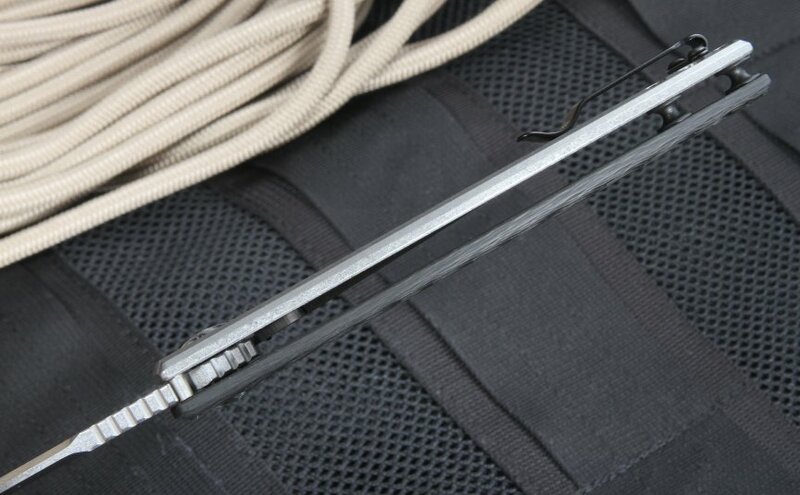 Its total weight is only 4.6 ounces with an overall length of 9.3 inches, making it light, durable, and comfortable to carry and utilize. Overall, the American-made Zero Tolerance 0452CF is a great every day and precision-made knife made with the highest quality and design. This is my second Zero Tolerance knife and I continue to be impressed. The fit and finish are first-rate. The blade is perfectly centered and locks up tight. The flipping action is smooth and positive due to the ball bearing pivot. The knife is paper-slitting sharp right out of the box and the carbon fiber scale is perfectly mated to the frame and feels good in the hand. 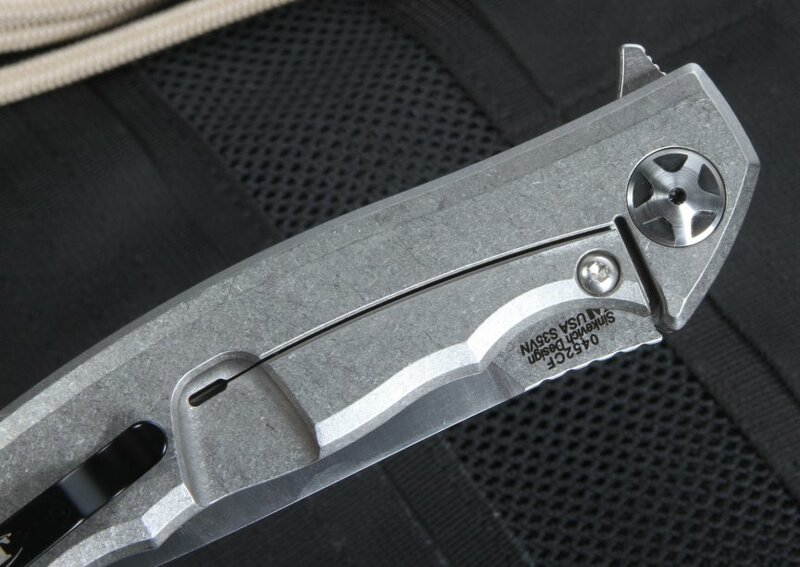 The titanium frame lock has a steel insert where it contacts the shoulder on the blade, insuring a solid lockup and no wear over a long time of use. The grind of the slender, trailing point blade is even and perfectly symmetrical. I measure 4.25" of blade from choil to tip, which is more than most EDC folders, but the knife carries easily and rides deep in the pocket. I believe that the clip has been improved over the original version. This is not a camp or survival knife, but it is well suited to the everyday jobs around the house or jobsite. It could also serve in an emergency self-defense role due to the sharp acute point and gently curved blade. I like this knife. It is full of great features yet understated in appearance. Buy with confidence. As usual, KhifeArt had this knife in stock when other online stores were out. Shipment was super fast. It was a pleasure doing business with you. I will definitely be back. I used to be a great fan of ZT knives back in 2013, but their knives just doesn't click well with me. The liners rusted easily, the blade could be deployed accidentally while in pocket too. However ZT designs have been improving over the years, hence I decided to give it another try. Next thing I did was to deploy the blade, and WHAM! The blade flips open so smoothly and with such authority, making speedsafe immediately outdated. Amazing. 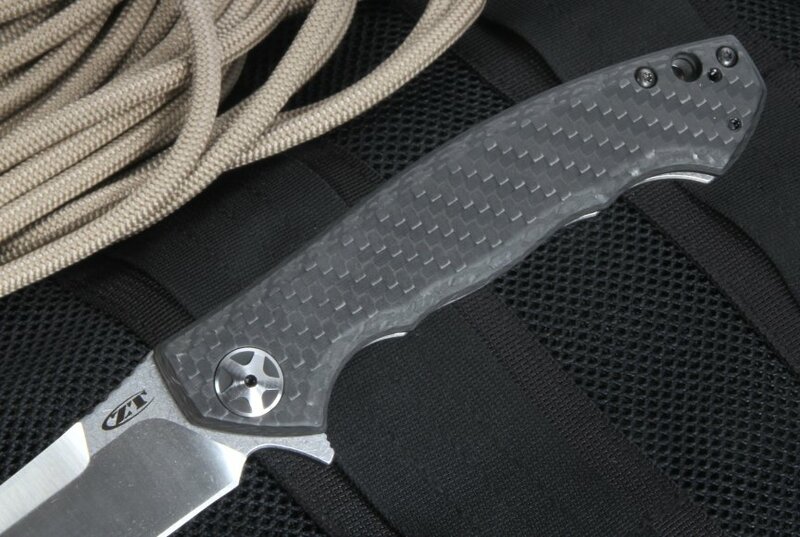 Blade is perfectly centered, no blade play, well made CF scales and this knife really sits low in the pocket. The blade is long and looks menacing, yet the knife is so light! 4.1inches of blade is not something we usually would want to carry it on a daily basis, but it weighs so little that I just could not resist carrying it out daily! Highly recommended. 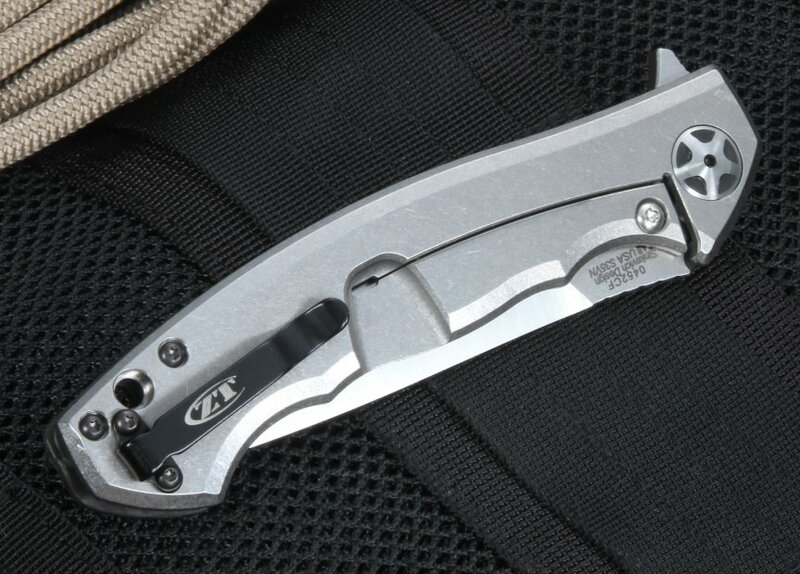 With the exception of the pivot screws, this knife exceeds my expectations in every way. I believe that this is a great back up knife for those in the military- You won't feel it there, but if you need it, it deploys fast. This is my favorite carry knife. It is a piece of art in design; sharp as a razor, light weight and a flipper. The flipper is a bit hard to activate and I use my thumb but that is a hidden advantage in a state where flippers are not allowed by the local police. This knife is somewhat of a holy grail of sorts. It has the 4" blade in high quality S35VN, it's has a super narrow profile, it's on bearings for super smooth opening, super strong frame lock, and all this weighs just over 4oz. The only real competition that comes to mind is the carbon fiber Sebenza costing more than double. ZT and Sinkevich is a winning combo. Phenomenal blade for the $$.